Chairman of Transparency International, Sri Lanka (TISL) Lakshan Dias and prominent TISL Board Member, J.C. Weliamuna have both stepped down from their positions in the organization in the wake of several Right to Information (RTI) petitions being filed by trade unionists under the RTI Act asking for reports relating to alleged corruption and internal mismanagement at the organization. The Colombo Telegraph learns that RTI petitions filed against TISL have been entertained by an Information Officer appointed by TISL but requests have been denied on the basis that the information asked for does not come within the ambit of the information that the TISL is bound to provide as a Public Authority. The Coalition Against Corruption (CAC) which exercised the RTI powers to submit six RTI applications to TISL has been asked to submit appeals to the Designated Officer who is the CEO of the organization, Asoka Obeyesekere. The applications had been handed over by the ACA representatives on March 1st to TISL’s Information Officer, Nimal Keerthi Jayathileke, who had accepted the applications on behalf of the TI Sri Lanka Chapter. 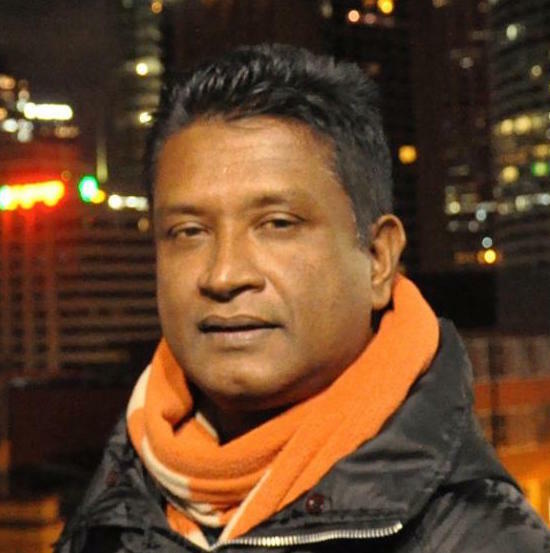 The applications had sought information on several cases at TISL alleging collusive action by Weliamuna supported by Lakshan Dias and and TISL Executive Director Ashoka Obeyesekere which resulted in grave internal mismanagement. The RTI requests asked for the report by J C Weliamuna and Lakshan Dias on an incident following an internal inquiry where Obeyesekere is alleged to have had penalised staff, a Rs. 1.1 fraud transaction, and to ascertain if TISL provided a job to a foreign female (the wife of an associate of Obeyesekere) who did not possess the working visa to work in Sri Lanka and if she was paid ETF and EPF. The CAC had worked with TISL in the past and had contributed towards the drafting of the policy on the safeguarding of whistleblowers. Long standing staff members at TISL who had helped to draft that policy had, as a result of raising questions internally in protest, not had their contracts renewed and some were given payoffs by the organization. Interestingly even though the TISL website mentions the fact that TISL had been able to obtain the financial records of political parties through filing RTI applications, it does not mention the fact that any RTI petitions had been filed against TISL. Neither does it provide any details relating to the responses by the organization to those RTI requests. This is certainly good riddance of bad rubbish. Are you suggesting that the Lankan Airlines was and is corruption free? Good riddance of cheap rubbish. Weliamuna made a big song and a dance with Sri Lankan Airlines speaking to scores of staff but it was an absolute drama. People came out and spoke openly with all vigor to catch the cheats. All what the UNP wanted was to expose this report to bring bad repute to Mahinda and use it to come in to power. These guys got Rs.1 million from the Airline and it was only a payment made to Weliamuna for his contribution during the campaign. Ranil and his clan let the thieves walk away and some they kept. The staff felt let down by this Govt and it’s leaders and it was confirmed that these lot also wanted to swindle and steal from the Airline. In fact the New investors and auditors must first of all look in to this report to see how any Sri Lankan Govt. Would vandalise the airline. Also it will help them to identify the Rouges still robbing and misusing the airline. This report will expose the true management strategy used in the airline under any Government and remove them in the new operation. Now when you hear to the staff and masses, even if God Vishnu comes down this season he will not be able to save this failed Govt and it’s leaders. 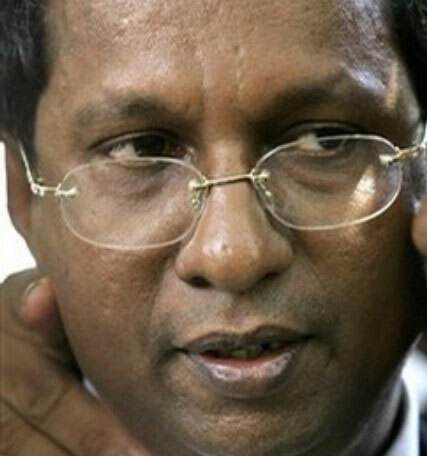 J.C.Weliamuna did yeoman service to the public by presenting the report on Srilankan Airlines which report exposed the massive corruption in that institution during the previous regime.The fault lies with the Ranil W government for not taking any meaningful action on it because they are running with the hare and hunting with the hound.There are vested interests and apologists for the Rajapaksa clan who bray for the blood of Weliamuna and Lakshan Dias. Regret to find Colombo Telegraph too in that clan. Roshan:I don’t think it is fair to discard the contents of that “Waliammuna Report” merely because this guy is now facing problems. Leave aside the “Report”, everyone knew what was going on with SriLankan Air and many of those facts written into the “Report” were not at all SECRETS. The only difference was, the people including the employees did not dare to speak of those facts that were very open and visible. That “evil wind” you speak of must also engulf and sweep away the present Chairman, CEO who said that those facts brought in the report and widely known to all the people of the country had “No Basis” and the members of the Cabinet Committee who overlook the affairs of the airline that includes Mr. Kabir Hasshim and Mr. Eran Wickramaratne but not excluding the PM Ranil who has conveniently and apparently on a “Deal” swept those facts under the carpet. It takes a while for NATURE to cast the evil on these culprits; but make no mistake it will come upon even later. Lankans learned within weeks following the 08 January 2015 elections that “running with the hare and hunting with the hound” mode of governance is well and truly entrenched. Some of the hounds wore hare clothing and vice versa. It is unfair to jump to conclusions but one has to wait for TISL to find out. Should not Transparency International conduct the investigation with foreign participation? The words “Foreign Participation” seems to be a mantram chanted quite frequently. While incidents of inadequacy of integrity on the part of those in authority and other places are on the increase that does not mean that those with integrity do not exist. A call for foreign participation only insults the remainder who upholds integrity and excellence. Are we asking them to vanish from this place to rot further? I don’t think so. I, for one, did not seek greener pastures to become third class citizens of another country when I have a mission to fight for respect to be an equal citizen of this country despite a lot of barriers. TISL is local chapter of TI which is international. The parent body must be allowed to investigate the way it chooses fit. It is appreciated that TISL had appointed Information Officer (I.O) and Designated Officer (D.O) under the RTI Act and that the I.O. had entertained requests for information and responded, even negatively. The matter is now being taken to the D.O. of TISL. Many Public Authorities had not made these appointments of I.OO and D.OO and published details in their websites. The Ministry of Parliamentary Reforms and Mass Media which is in charge of ensuring the proper implementation of the RTI Act, should ensure that the I.OO and D.OO are appointed and details published in their respective websites within 3 months from 03rd February, 2017, the date the RTI had came into force in Sri Lanka. Though the Head of the Authority is expected to function as I.O of such Public Authority, until such time I.O. and D.O. are appointed according to the RTI Act, the Heads are not acknowledging receipt of requests for information or replying them. The Pension Department is one such typical case. The home page of the implementing ministry does not have the necessary information on RTI. Without a decision from the IO and the DO any appeal to the RTI Commission in fact is a complaint about lack of implementation instead of an appeal. I suspect that many RTI requests sent by e-mail will be deleted. Oh… poor Mr Waliamuna the champion of honesty….We all know what he is up to…. I am one of those people who submitted evidence to the Weliamuna Commission. I submitted signed letters and e-mails that clearly showed abuse of power by the then COO Druvi Perera and HHR Pradeepa Kekulawala. No petty issues or hearsay – just the truth – in the words of the people involved. The emails showed the Chairman, CEO and Board of Directors were aware of going on – and did nothing! The reason that the Weliamuna Comission report was de-railed is because it turned up too much – further investigations would have turned up the names of the Politicians involved in the theft, fraud, corruption and Racketeering that characterised daily operations at SriLankan. I’ve seen that HHR Pradeepa Kekulawala no longer signs his name on any letters – hilarious! The question that should be asked is – who is protecting these people and why? Roshan: Thanks. The findings or rather reported matters were not so “petty issues” and “hearsay”. The happenings under MR’s Regime and under the Chairmanship of his Brother-in-Law were in the public domain and discussed in Parliament on very many occasions. This Institution was and is a “Public Burden” and needed to be corrected and bring to book all those who were responsible for the mess. That is what, I tried to highlight and other than that there was nothing personal in regard to what took place there. You have brought a new topic into this discussion, i.e. “Emirates Management”. I remember how hard the present PM, Mr. Ranil Wickramasinghe fought against that “Emirates Deal” under the then President Mrs. Chandrika Kumaratunga. He went to the extent of telling in open Parliament from the Opposition that he would definitely cancel that “syndicate” once he got into power. You know what happened when he became the PM and that became history. With that “show off”, do you expect this Government again under RW, to go into those “corruption”; “abuse of power” you mentioned under Emirates Management? He, (this PM) will not even get interested in those well known and again those that he spoke of from the Opposition to initiate any type of investigation having got into power once again. That is his “STYLE” and don’t be bothered about any investigations and punishments or recovery of lost public property. I can’t comment on events that took place before my time at SriLankan. Anyone involved in any illegal activities at SriLankan needs to be fired and prosecuted to the full extent of the law. That includes seizure of property and bank accounts. The Weliamuna Commission named names and it painted a very accurate picture of what was going on. There’s more than enough in the report to prosecute all the named people. Why are they being protected? Who is protecting them? All the new aircraft at SriLankan appear to be leased at higher than market rates. This makes it impossible for the Airline to ever make money – and there are more on the way! SriLankan is finished – it needs to be closed down for the good of the country imho. My guess is that over U$100 million dollars has been paid in Commissions on this aircraft order. That’s the real reason behind this aircraft order imho. Who pocketed this money? Where is the investigation? The Rule of Law needs to be re-established – only the people of Sri Lanka can make that happen. Until it does the country is going nowhere and the deliberate and systematic looting will continue. What Commission was Lakshan Dias involved?????????? J C Weliamuna has been finally exposed as the stinking fraud that he is. Shows that you cannot fool all the people all the time. made since this gaspalanaya govt. a fixer and a great fraud! !